A fortified wine is a delicious, viscous wine-based sipping treat that is often enjoyed as a drink before or after dinner. The most common types of fortified wines are Madeira, Marsala, port, sherry, and vermouth. These still wines have been "fortified" with a distilled spirit such as brandy. The original use of fortification was to preserve the wine, as casks of wine were prone to turn to vinegar during long sea voyages. The spirit added might also enhance the wine's natural flavors. The liquor is added to the base wine during fermentation. This fortifying of the wine brings the average alcohol content up to around 17 to 20 percent alcohol by volume. Fortified wines can be made in either a dry or a sweet style. The middle-ground of medium-sweet or medium-dry is covered in virtually all of the fortified wine categories and they will vary from one producer to the next. Many fortified wines are blends of various grapes and vintages. The majority are stylistically similar to the classifications of the wines that go into the blend. Fortified wines are not distilled, though some people mistakenly categorize them as a liquor. This is particularly true of vermouth, it is likely the result of its use in ​making martinis. Quite often, the fortifying liquor is simply called a "neutral grape spirit." Essentially, this is a brandy or eau de vie. The amount of time a wine is allowed to ferment before being fortified determines whether it will be sweet or dry. Once this alcohol is added, the yeast stops converting sugar to alcohol and all of the remaining grape sugar is left in the wine as residual sugar. If a sweeter fortified wine is desired, the neutral grape spirits are typically added within the first day and a half of fermentation. To make a dry fortified wine, you would allow the full fermentation process to run its course. This consumes the remaining sugar before adding the neutral grape spirits. Most fortified wines have no additional flavoring agents. But in the case of vermouth, botanicals are added during the process to give it an herbal flavor profile. Many fortified wines undergo aging in wood casks. The actual aging time depends on the fortified wine. In general, the cheaper the fortified wine, the less time it has spent aging in oak. As a result of this deep wood aging, many fortified wines will benefit from decanting and aeration. Madeira is a white fortified wine from the Portuguese island of the same name. It comes with various classifications, including by grape and age. Marsala is an Italian specialty originating from the country's southern region. It is classified by both color and age, with sweet and dry varieties represented. Port is the best-known fortified wine. Though Portugal is known for creating ports, it's now produced throughout the world. For this wine, you can choose from tawny, ruby, vintage, and white ports. Sherry is a well-known fortified wine produced in Southwest Spain. It comes in fino (dry and light-bodied) and oloroso (dry but richer) styles. Vermouth is probably better known as the "other" ingredient in a martini, but it's great to sip on its own as an aperitif. It is generally available as either dry or sweet. Vermouth is produced worldwide and varies in taste and quality depending on the producer. There are other fortified wines that do not fit conveniently into one of these categories. Those typically rely on proprietary recipes and, quite often, utilize a special blend of herbs or botanicals to make them distinct from all others. Dubonnet and Lillet are two labels that fall into this non-category. Since fortified wines vary by style, it's difficult to give general guidelines about storing and serving. While it is best to look into the recommendations for a particular type, there are a few suggestions you can keep in mind. Unopened bottles of fortified wine can be stored in a cool, dark location. Some, such as fino and manzanilla sherry, should not sit on the shelf long after bottling. Others will be okay for a few months. With a few exceptions, you can think of the shelf life of most fortified wine as falling in between that of wine and liquor. Once opened, it is best to drink fortified wines as soon as possible. However, vermouth can retain its flavor for up to three months. All open bottles of fortified wine should be stored upright in the refrigerator. Similar to other wines, serving temperatures vary with fortified wines. While some are best chilled, its recommended to serve others at room temperature. This is also going to depend on your personal preference as well. While any fortified wine is designed to be enjoyed straight from the bottle, they're useful in mixing up cocktails. They're often best in simple drinks, such as the sherry cobbler and white port and tonic. Fortified wines also make a great cooking wine. If you find that your wine is too far gone to drink, add it to a sauce or another recipe that calls for a little wine. Food pairings depend on which type of fortified wine you are drinking. 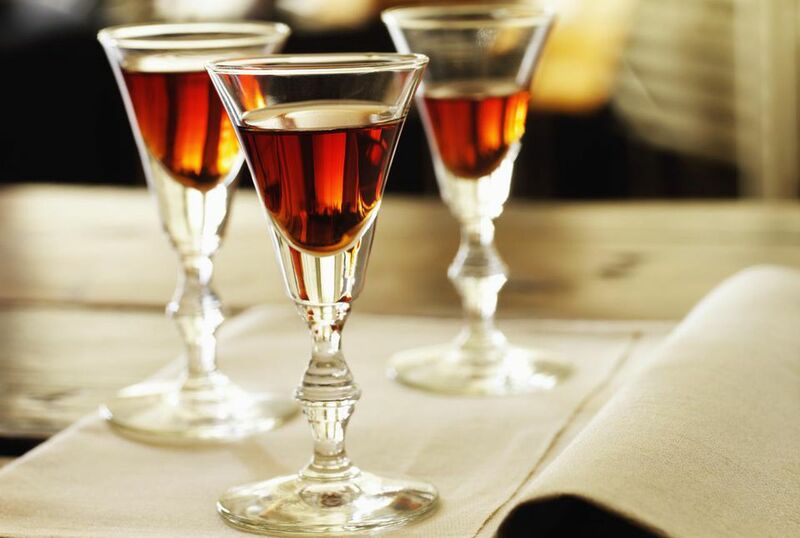 In general, fortified wines are known as both an aperitif and a dessert wine option. Many kinds of cheese, nuts, fruit tarts, and cream-based or chocolate desserts have found a magnificent pairing partner in a fortified wine. Experiment on your own or seek out pairing recommendations when reading about the specific wines.